Last week we reached the 20th post in our Q&A series, which I am extremely happy about! I never imagined that this series would be so popular so in celebration of reaching this milestone, today we have a slightly special post – a Q&A BEST OF! How to position and sell PREMIUM products on eBay? Importing iPhone cases with Disney characters, is this illegal? Supplier wants an order BEFORE a factory inspection!? How can I create a successful eBay business with a brand new account? What are “grey imports” and can I sell them? How to manage my eBay business when going on holiday? Selling used books on eBay and Amazon – is this still viable? Becoming a slave to my own business! What promo materials should I include with each eBay order? First of all I would like to thank you for website as it is such a good source of information. 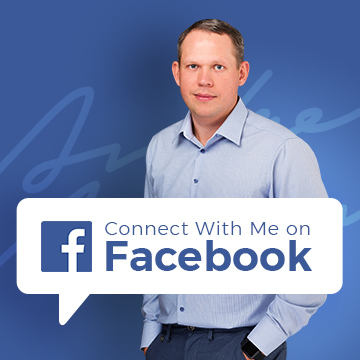 I have found some of your articles extremely helpful and the ideas you present have been very easy to implement into my own business, with great results. I would like to ask your advice, and would really appreciate your help in the beginning of us trying to create a successful business on eBay. 1. As we will be selling European products on eBay, what do you think is the best strategy to enter the market with a product nobody else offers, in terms of brand and quality? There are of course plenty of low quality offerings but our products are 100% Italian or French made and we really want to emphasise the uniqueness of what we’re offering. 2. We’ve done our market research, looks at the sales, products etc. but do you think little extras will make any difference? Things like coloured bubble wrap, thank you stickers etc.? Basically do you think it’s worth investing in packaging to make us stand out from the crowd, even if it doubles the cost? 3. What 3 things you can suggest to invest money into that will put a smile on a customer’s face when he/she receives the product? Lastly, next day delivery also helps keep your customers satisfied, especially when they make an order @ 2PM and receive it the following morning! Everyone likes to be treated well, even eBay buyers, so make sure that the service you offer is always one step above the competition. I have purchased some iPhone cases that I believe to hold copyright and be trademarked and was wondering if you could help me and provide some more information about this? The iPhone cases are of Disney characters however they were not made by the original manufacturer/owner of these characters therefore I wanted to know if they have the right to produce those products? The characters include: Batman, Superman, Spiderman, Ironman, Captain America and Perry the Platypus from the Disney programme Phineas & Ferb. The iPhone cases take the image of these characters and I was wondering if you know if those characters have a trademark against them due to them being intellectual property. I have already covered this topic several times on my blog but feel obliged to do another post on this as I still receive similar questions to what Chad has asked on a regular basis. I really feel sorry for all those people wasting money on such items and importing goods from China that are ILLEGAL and cannot be resold. Batman, Superman, Spiderman and all other Disney/Hollywood characters are of course trademarked and these designs are all protected. Not only can you not use the Batman logo for example or the name – even similar names can and will cause problems, like in a recent lawsuit where a company was prohibited from using the name Batsman – as it’s too similar to Batman. It’s a well known fact that IP rights are not properly protected in China; hence you find all these fake products being sold freely. It doesn’t stop with iPhone cases – a copy of almost everything is produced in China, including sports cars that look exactly like a Ferrari. It seems that the Chinese government doesn’t care about this as otherwise there would be some more strict rules and laws in place by now. To manufacture iPhone covers with brand names, Disney characters and similarly protected content, a manufacturer would have to obtain a licence from the IP holder and pay royalty fees. While there are of course legit companies who do this, I’m afraid you won’t find them on Alibaba. Suppliers on Alibaba simply take these designs and use them in production without paying any royalty fees, making these products illegal. So I’m afraid you’re stuck with your purchase Chad and can’t sell these items online or offline for that matter. What you can try to do is contact your supplier and maybe arrange a deal where you send these products back in exchange them for items WITHOUT any copyrighted designs on them? Obviously you’ll lose on shipping but at least you’ll get rid of this stock and get something you can actually re-sell in return. Just don’t deal with such items and import only plain, unbranded (or your own brand) products. Obviously, this does not only apply to iPhone covers. ANY kind of product that contains a protected image/logo/name is prohibited and should be avoided at all costs. I contacted a supplier on Global Sources as I want to buy some raw materials from them. When I contacted them they sent me an email with their quotation and though I know they are verified, I wanted to also arrange a third part inspection of their factory, for extra precaution. Initially, the sales representative agreed to the inspection but when I arranged it and the inspection company contacted them, they started saying that I have to pay them at least $1,000 before inspecting their factory. I tried to convince her to allow me to check the factory first but she claims that’s the company policy. What do you think, is it safe to order from this company or are they simply a scam? RUN AWAY from them as fast as you can! A factory that requires an order BEFORE you can verify them is nothing more than a SCAM! Imagine a situation where you want to enter a brick and mortar shop but they ask you to pay $20 BEFORE you can even take a look? It’s something simply unheard of. If they’re real and have nothing to hide, they’ll be more than happy to accept the inspection without any fuss at all. So just don’t bother with them anymore and look for other suppliers who are happy with an inspection before you place an order. I recently started up on eBay selling bikinis and am making a couple of sales a day which is not what I intended, as I hoped to sell a lot faster. I am starting to think the competition is far too high in this category so I am currently trying to find another niche product that will produce more frequent sales. I have signed up to Terapeak to try and help me source the perfect product, I have spent weeks researching but without much luck, I am starting to believe whichever product I go for the competition is going to outride me due to me being a new seller. I was wondering if your DVD explains the use of Terapeak in depth as thinking this may be my only way forward. 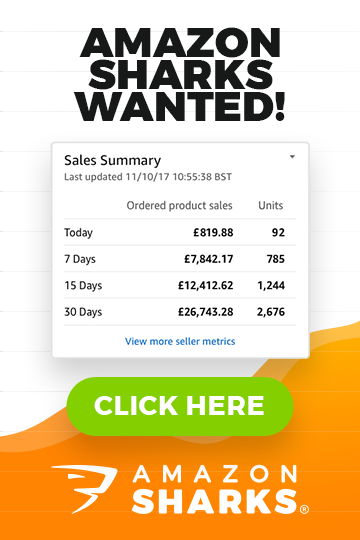 Yes, in the Easy Auction Business video course you’ll learn exactly how Terapeak works and most importantly – how to use it to analyse the potential of a niche and to find profitable products to sell on eBay! The fact that you’re a new seller doesn’t mean you can’t make it work on eBay. You can easily become an established Top Rated Seller following this guide and after that – you’re basically on the same level as others. Getting first position on eBay’s search rankings has nothing to do with how old or new your account is – as long as you’re a TRS and follow my advice, getting high search positions won’t be a problem. In some niches you don’t even have to be a TRS to achieve decent sales, so don’t look for excuses but just start working on this! I have found a supplier in Hong Kong, who I think is reputable and I would like to buy a Samsung Galaxy S5 as a sample order. However, I am confused about the warranty. Yep, I definitely appreciate your situation as it’s summer time and most of us are therefore taking our holiday now. And you’re right – if you put your eBay Shop on holiday mode for several weeks, your listings’ search positions will suffer (though I haven’t noticed such a dramatic effect on shorter, 2-5 day leaves). I am considering starting an eBay/Amazon business in the UK selling used books. Do you think that this is a viable business given that it seems to be very competitive (such low margins?) with loads of books selling for 1p plus postage? If it is viable, do any of your products address this niche? From the research I have done – used books is a very, very difficult market to work in. As you say – they sell so cheaply and the competition is huge! Plus shipping costs can also be quite high for some heavier books. So in general; I don’t think it’s a niche worth spending your time on. If you can locate such a sub-niche and have good KNOWLEDGE on the topic, you can create a decent business out of used books. In my head it should be easy to earn £200.00 a day sending out 20 items and making £10.00 a sale but the item I have found can only be done via counterfeit goods which I am unwilling to pursue for obvious reasons. Do you feel these types of figures are possible? Just sending out a few items with high returns? Having become a victim of my own success previously I don’t want to become a slave to my own business again. Hence my thoughts on 20 – 30 items a day as I’m not yet able to employ others to take care of all this work. Yes, of course that is doable. And I can totally understand why you would want to go after higher margin goods VS cheap goods – as the workload is essentially the same, while the return is not. You still have to process that order, pack and ship it out – whether you make £1 or £10. To make £10 NET profit per item sold on eBay you have to be prepared to sell products in the price range of £50 – £150. Unless you can create your own unique products that you can say sell for £30 and make £10 net profit (very unlikely). So if we take £100 as average, this means that your buying power should be, at a minimum – £10k, ideally £20k. That way you will be able to purchase at least 100 units at a time for the product you choose, which is needed to get good wholesale pricing. If you have the working capital to support this, then it’s definitely doable! First off let me say what a great blog you have!! Real questions and real answers all in one place. I’ve been selling on and off on eBay for a few years now, nothing much really, just household items. But after seeing the huge potential of importing from China, I’m now taking the plunge. I’ve stumbled across a hot niche that has multiple sub-niches that I can break into. It’s just a matter of getting the products at the right price + shipping (thanks for the tip on Woodland Global btw). My question is more in regards to customer service. Also when I myself bought an item from eBay, I was sent a customised email showing recommended items near the bottom – how do I set up something like this for my own business? Thanks for your questions. I will answer them one by one. What to include in each eBay order? If you don’t have an eCommerce shop yet, at least include an invoice, thank you letter and ideally a business card as well. This gives a real, welcoming feel to the customer. The business card trick also plays an important role here as customers will instantly know that they have a REAL person in your company they can contact to resolve any potential issues they might have. When to open an eBay shop? As soon as possible really! Not only will it make your account look more professional, it’ll also make it easier for people to buy multiple items from you, and possibly most important of all; a shop subscription allows you to list under the Good ‘Til Cancelled (GTC) format which is CRUCIAL in getting your listings to the top positions of eBay’s search results. Really it’s worth signing up for a shop for the GTC feature alone. How to send out promo emails to eBay customers? There are special tools and software available that can do this for you – something like Auctiva would have this functionality. Personally what I do is use an auto responder service such as Mail Chimp or Aweber to send out highly customised emails to my customers. You can read more about how to implement this in your eBay business in my auto-responder guide. I wanted to get your opinion on my starting budget if possible. Most of your literature mentions only needing to start with a small budget, but what if you had substantial starting capital, say £100k. Then would the procedure be the same or would you advise a different strategy? It’s great to hear that you’re in a position to invest such a substantial amount of money into your business. I usually mention much smaller sums because most people have very limited budgets available to them when starting an online business. But to answer your question directly – yes, the exact same principles still apply! The only difference is that you’ll be able to order in much higher quantities, thereby getting lower prices and increasing your chance of success. Also, with a budget like that, you can start with an eCommerce shop from day one, and also sell on Amazon from day one. Simply outsource the shop creation, design & coding and use Linnworks to synchronise all 3 platforms (eBay, Amazon and your own shop). Alright, that’s it for today. (just scroll down to the Questions and Answers section). If you have a question yourself that you’d like my help with, simply send it in via my support desk here and you might be featured in a future post, but if not, I’ll still answer you personally via email. Here’s to reaching our 50th Q&A post! Hi Andrew, The mind boggles reading all these questions and your most interesting answers. I have been trying to buy a new mobility scooter, came across lots , Yongkang Sinotech Vehicle Co Ltd.
Have been dealing with a Mrs Lisa Wang who on paper is the Manager . The scooter is a 3 Wheeler 0 – 15 mph road worthy job $530 + $ 50 shipping =$580. All very nice. But when it comes to payment, I want to do it my way which is unacceptable. She wants me to it :- Western Union . Money Gram. or Alibaba. ?? At the age of 87 I certainly do not wish to get caught up in a scam . I am in a state of shock having perused all the previous statements. Golly Gosh !!! Don’t do it, it’s most likely a scam if they push only WU and MG as payment methods. Also, you say – shipping is $50, that simply can’t be true, it’s too low + if it will be shipped via sea freight, you’ll face hundreds of dollars in additional fees when goods arrive in Spain. So in a word – stay away! I thank you for you quick reply ,your common sense to me will prevail. I thank you most kindly for correcting my stupid brain that thought all was well. I was in touch with my manager at H.S. B. C . about it ,no reply yet . But I am sure they will not want me losing my monies on scam in China. !! Once again for sound advice. Ricardo G.
No worries, you’re welcome Ricardo!